I failed to qualify for my first Boston by less than a minute. I was planning to run a 2-person marathon relay a month later, but my running partner came up with an injury so I decided to switch to running the full marathon. I met a pacer during the run who was very entertained so I stayed with him. I moved ahead of him and saw my friend on the sidelines at Mile 18 who yelled that I could petition Boston for an entry due to the Harsh weather conditions in my first attempt. I replied that I thought I was going to qualify that day. The startled look on her face and then the immediate cheers of encouragement were priceless. 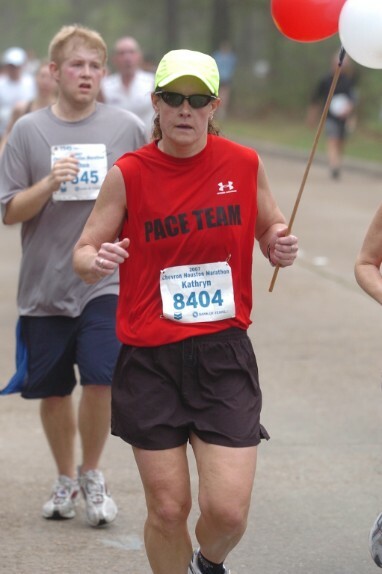 I started pacing because of the awesome pacer during my Boston qualifying race (See previous Best Memory). His advice, leadership, and encouragement were invaluable. I had experienced first hand how invaluable a pacer could be towards making a goal. I wanted to be that pacer to help the everyday runner realize their goal and at the very least make the marathon a more pleasurable experience. Anytime a runner comes up to me after a race and tells me that they could not have done it without me. The truth is that they could have done it without me, they just needed something else to focus on besides that evil self-doubt that creeps up on every runner in the most difficult parts of the race. Meet goal and get enough encouragement to get you through the goal without being irritating. Pace per mile is generally consistent, but am an effort based pacer. Uphills may be slower and downhills faster so that perceived effort is consistent. 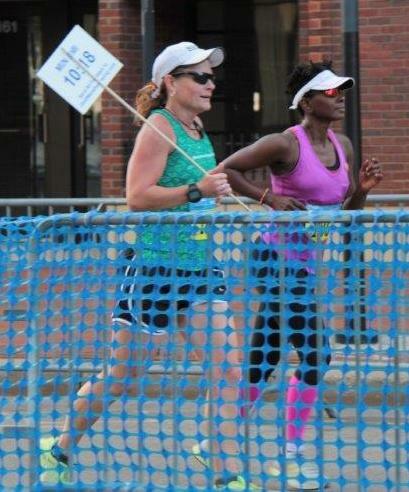 “Don’t let fear take the wheel and steer” when running a marathon to achieve your goal.